Disclosure: I participated in an Influencer Activation on behalf of Influence Central for Dover International Speedway. I received a promotional item to thank me for my participation at the conclusion of the program. Even though we live in different states, we still make a point to connect online and talk about all things sports. It is harder now, though, especially when it comes to teams to root on as I live in CT and they are in MA. You know how it is...if you live in MA, then you root for the Boston Red Sox, Celtics and Bruins -- no question! But, if you live in CT, it is a little different. Depending on where you live in the state, you may root for Boston teams or NY teams. While my heart is still with Boston, I find myself rooting for the rival NY teams. Sorry guys! The one sport we do agree on, however, is NASCAR. 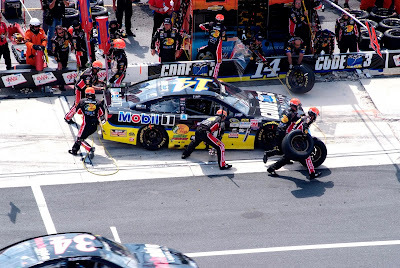 Are you a fan of NASCAR -- If you are, then you will want to read on and learn how to enter the Monster Mile Sweepstakes for their family to win tickets to the big event! They say it takes a certain type of person to enjoy this sport. Some grow bored of watching a race car circle a track over and over again...I know as I have been trying for years to get my husband to watch it on television. We even have a local speedway in Thompson, CT and I have taken him a few times, but find his engrossed in his phone or visiting the snack stand with the girls. Maybe one day he will see the excitement my brothers and I do, as well as so many others when it comes NASCAR and the many different races. 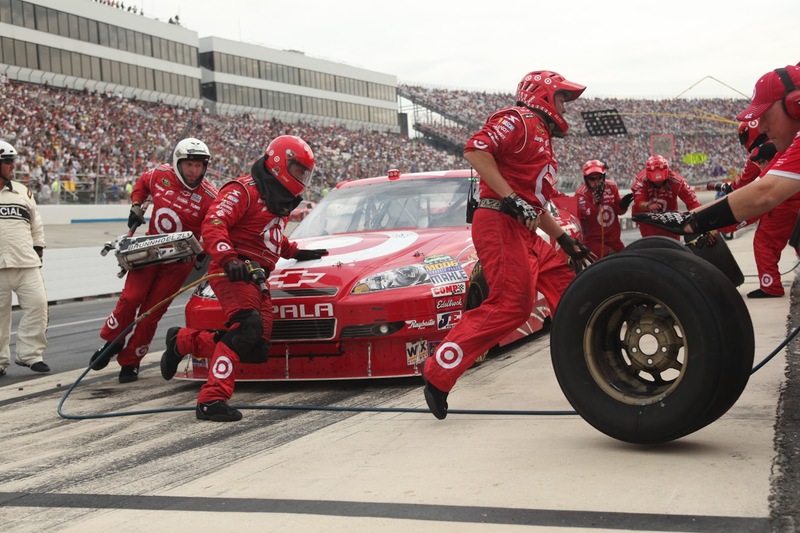 Are you planning to go the AAA 400 at Dover International Speedway, or do you live within driving distance and have been curious about NASCAR? If you are looking for a unique once in a lifetime experience or vacation idea that you can bring the whole family and have fun, then the upcomingAAA 400 at Dover International Speedway may be just what you are looking for? In addition to the race itself, there is so many other amazing events happening during the Oct. 2- 4 NASCAR race series weekend. 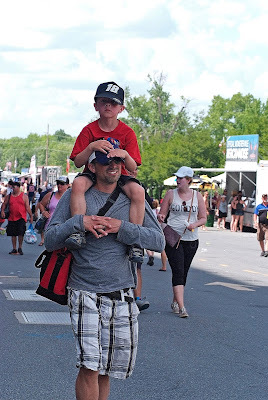 From a Nathan's Hot Dog Eating Contest to a not to be missed family-friendly FanZone area where you can meet and greet with drivers and will have you talking about and sharing photos of for days with family and friends, there is so much happening to excite and satisfy every member of your family, no matter their age. As my brothers and I continue to follow the racers and news of this and other upcoming NASCAR races, the AAA 400 at Dover International Speedway is definitely at the center of our conversations. It feels like the old days when we used to crowd around the living room television and watch the many different family-friendly NASCAR races. · Time: 8 a.m. – 2:30 p.m. If I was attending the "AAA 400" NASCAR Sprint Cup Series Race in Dover, DE with my family, the FanZone is one event that we would not miss. Yes, there will be lines and tons of people, but where else can you meet some of your favorite drivers and maybe even snap a photo with one while getting an autograph? The FanZone is every NASCAR fans dream to attend, and hear the drivers answer questions about the upcoming race, etc. There will also be FREE interactive displays set up in the FanZone (located outside of turn 4), as well as games, sampling, live music and so much more. Some sponsors you may see at the FanZone include 5-Hour Energy, AAA, M&T Bank, Lucas Oil, ACME, Camping World, Comcast XFINITY, the NASCAR Foundation, the Rusty Wallace Racing Experience, Toyota, and the USO Military Village. This is definitely one stop on your family's trip to the Dover International Speedway in October that you don't want to miss! For more information on the FanZone Experience visit http://goo.gl/KoeZKS. · Time: 10:30 a.m. – 2:30 p.m.
Also located outside of Turn 4 is the Monster FunZone, which will take place from 10:30-2:30PM. Set up with families in mind, activities planned include racing simulators, face painting, prize drawings, moon bounces, show car displays, interactive games, rock climbing and so much more. My girls would definitely be dragging their feet and not wanting to leave the Monster FunZone if we went. The moon bounce alone could entertain them for hours, after they got their face painted. 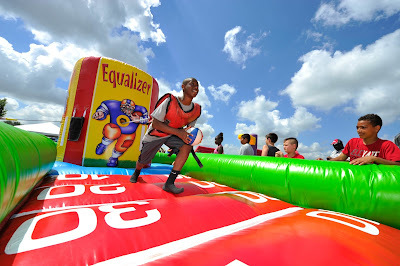 For more information about the Monster FunZone and all the family-friendly activities planned visit http://goo.gl/IMrxTm. Who doesn't like FREE concerts? Well the Dover International Speedway has you covered during your visit, as the Billboard chart topping (10 consecutive weeks) Alternative band, X Ambassadors, known for their #1 hit "Renegades" will be performing at the Victory Plaza Stage. You may have recently seen the X Ambassadors making their rounds on television. They performed on the The Tonight Show, Starring Jimmy Fallon, the Today Show, as well as over at The View. To learn more about the FREE concert by the X Ambassadors, visit http://goo.gl/HqLJ9U. I don't know about you, but I have always wanted to see a hot dog eating contest up close. Yes, I have seen news clips of the famous Nathan's hot-dog eating contest, but I would love to feel the crowd's excitement as they cheer on the competitors. I, for one, am always full after one ho dog, so I have no idea how the entrants can eat so many. If you are visiting the AAA 400 NASCAR race in Dover in October, then you will get to watch the official 2016 qualifying event for the annual Fourth of July International Hot Dog-Eating Contest, at is is taking place on Sunday at 12:45 in Victory Plaza. Can't wait to hear what you think of it. One item on my bucket list is to meet Jimmie Johnson. He is my favorite NASCAR driver and one I would love to have a photo taken with. I have his autograph after my brothers surprised me with it when I started my cancer treatment in 2008. I couldn't believe that I was the owner of his autograph and it really helped keep my strength and determination up to beat the cancer so that one day I could cross off meeting him from my bucket list. While I haven't met him yet, it I was going to the the upcoming AAA 400 NASCAR race I wouldn't hesitate purchasing the Jimmie Johnson Package, so that I could attend the Q&A with him on Sunday morning and hear him talk about his career, racing at Dover, etc. To learn more about the Jimmie Johnson Q&A Package, visit http://goo.gl/RglyCy. 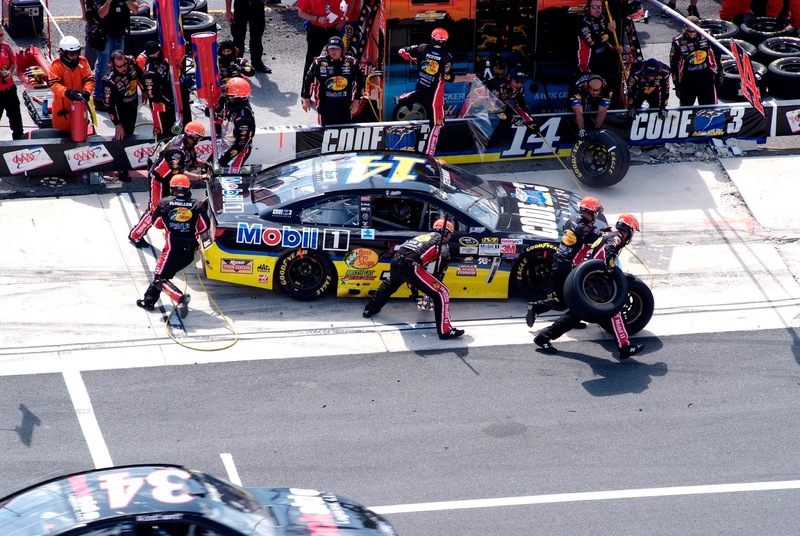 Do you have children ages 14 and under who are NASCAR race fans? If so, you will definitely want to know about Monster Mile Youth Nation, an exclusive kids club for ace fans age 14 and under. 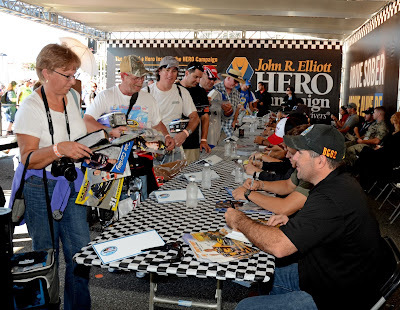 This kids club not only provides opportunities for young fans to explore the sport of NASCAR at the Dover International Speedway, but also includes an autograph session on October 4, 2015 with drivers such as Martin Truex Jr., Kyle Busch, and David Ragan. At only $20/year, you can't go wrong with a membership for your young race fan in the Monster Mile Youth Nation kids club. To learn more about this kids clubs, which also includes exclusive race weekend access and benefits (if attending the AAA 400 in Dover), visit http://goo.gl/VsV3cf. Who doesn't like a deal? Well, when it comes to the Sunday NASCAR Sprint Cup Series race at the Monster Mile, your child (ages 14 and younger) can score tickets for only $8. Yes, you read that right -- only $8/ticket, for seating in the junior seating sections set in all four turns of the one-mile, concrete oval, including seven alcohol- and tobacco-free section. 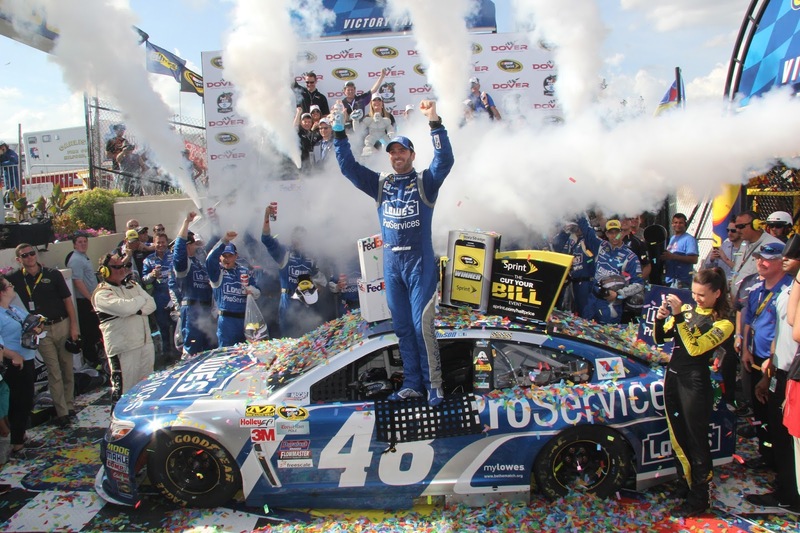 Want a chance to win Four (4) passes to Jimmie Johnson Q&A session that includes grandstand tickets and Trackside Access passes to the 2015 NASCAR Sprint Series Race on October 4, 2015? Then, complete the entries on the Rafflecopter form below. Act fast as the giveaway ends in 2 days! Good luck! Stay up-to-date on all things relating to the upcoming AAA 400 NASCAR Sprint Cup Series race and activities at Dover International Speedway by visiting the official Dover International Speedway Website at http://goo.gl/xbI6nv. You can also find the Dover International Speedway on Facebook, https://www.facebook.com/DoverInternationalSpeedway and Twitter, https://twitter.com/monstermile.